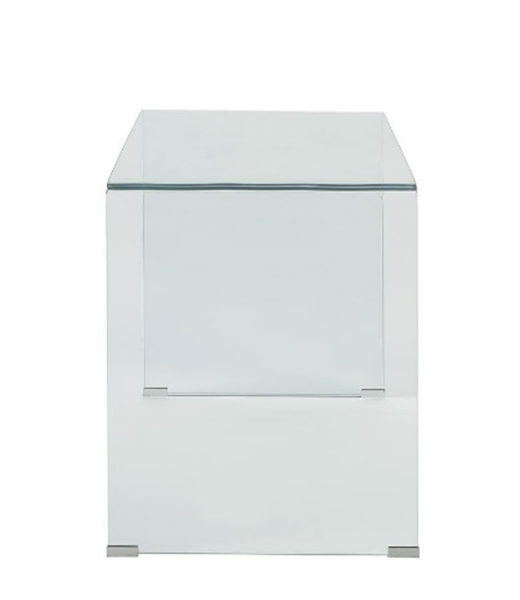 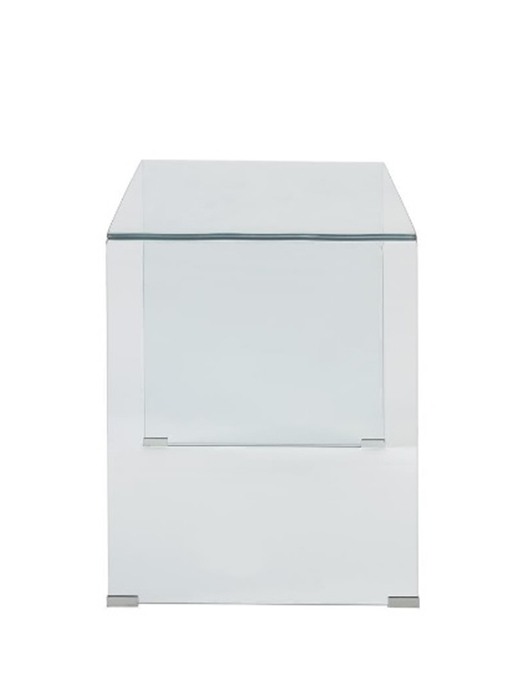 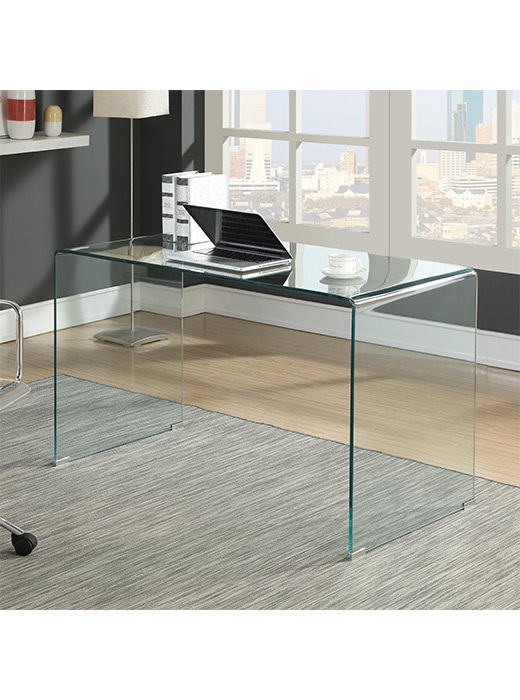 Leave all your distractions behind with this clear tempered glass writing desk. 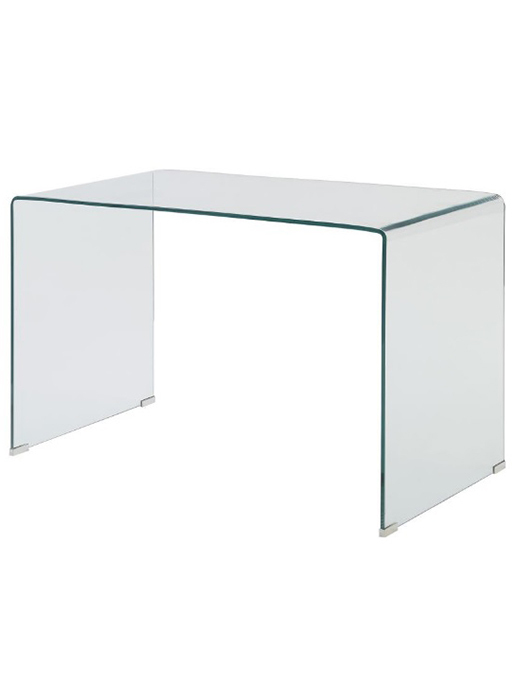 Color: Clear glass with Chromed steel floor protectors. 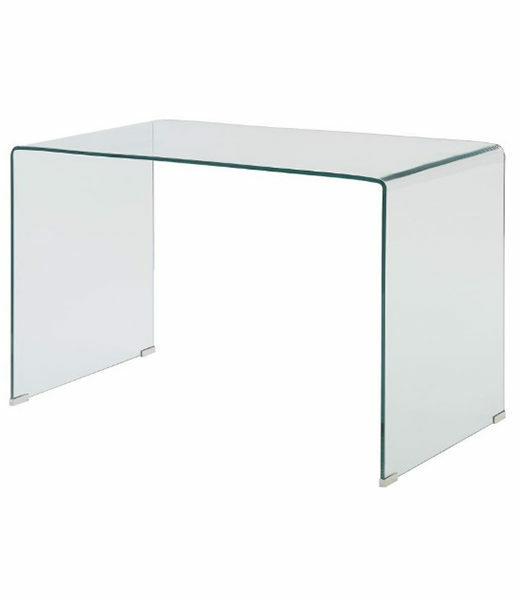 Made with tempered glass for safety.